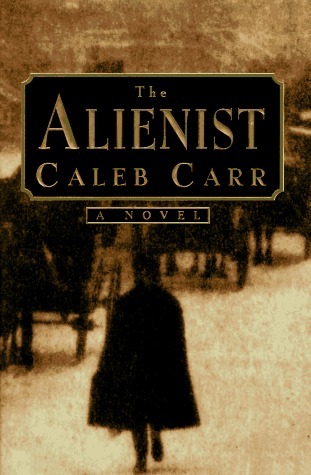 Several months back The Alienist by Caleb Carr showed up as one of the extra selection books for Book of the Month (BOTM), so naturally I ordered it because historical fiction combined with mystery and thriller? Yes, please! Of course it got added to my huge TBR shelf, like everything else, but once I heard that there was a limited television series in the works, I knew that I must read ASAP. Now for the book itself…The Alienist takes place in New York City in 1896 when there is a serial killer on the loose in the city. Theodore Roosevelt is working in the police department at the time and due to the nature of the murders no one in the department is interested in solving them, save Roosevelt. Due to this Roosevelt puts together a side investigative team including an alienist, a crime journalist, a couple of his most trusted detectives, and a liaison between himself and the new team to find the killer. This book is not completely a ‘whodunit’ as you find out who the killer is before the end, but a ‘whydunit.’ This is a very early use of the profiling technique on a killer and a very interesting look at why a person is the way they are and what has brought them there. 3) Very vivid descriptions of turn of the century New York city and all that was happening there at the time with the gangs. 4) During this time woman we not seen in the same light in the work place as they are now, so seeing a strong woman in a prominent role in the investigation was refreshing. I was looking forward to watching the television adaptation on TNT of this book before, now that I have finished the book, I am even more excited! I know I am a week late, but never fear, I have it on the DVR! Have anyone else read The Alienist and excited to watch the new adaptation? Yes! I just started watching it. So good just like you said…. great review.